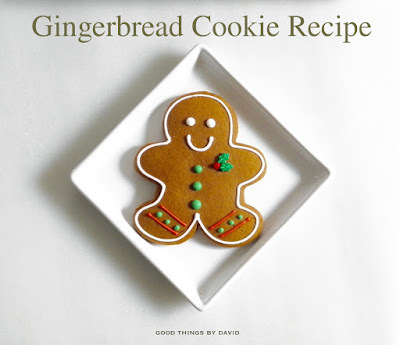 This recipe is a sure way to bring the flavors and aromas of the holiday season into your home. With delicious ingredients like butter, eggs, flour and molasses, a medley of spices gets combined to make a dough which captures the spirit of Christmas or whatever holiday you celebrate. 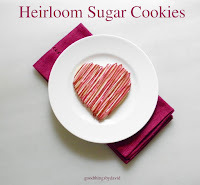 I created some simple cookies this morning for a very special client of mine, which is why I wanted to reintroduce you to the recipe. You're going to want to try it in the coming weeks! The cookie dough is typical gingerbread dough, which is to say that it is a bit difficult to handle if you let it come to room temperature while working with it. I like to roll and cut out my cookie shapes while the dough is still cold from the refrigerator; you will see that it is still malleable regardless of having been chilled. Once baked and cooled, the cookies will hold their shapes, the tops will dome slightly, but their texture will have you and the kids reaching for more. 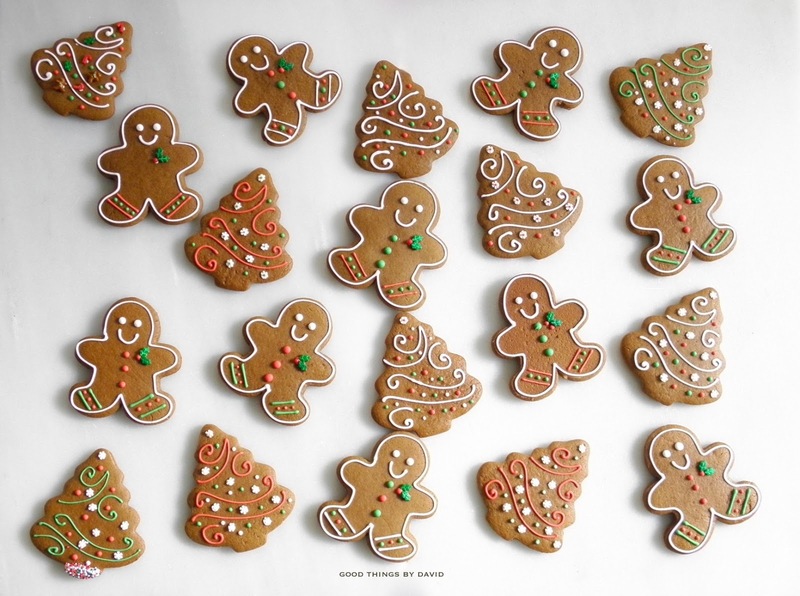 Iced with a good royal icing (enter it on my search box), the cookies can get decorated according to your tastes. 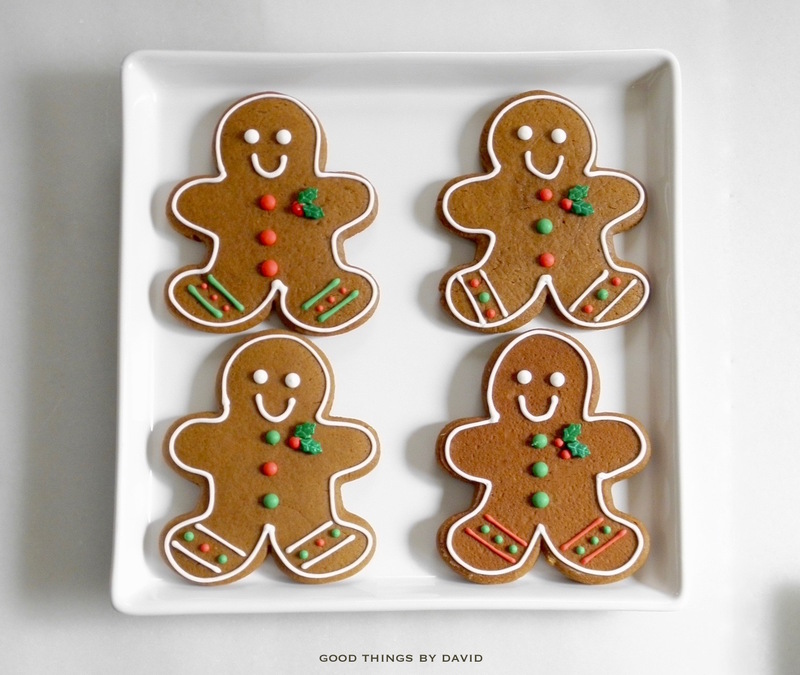 These gingerbread men are simple, yet utterly delicious. 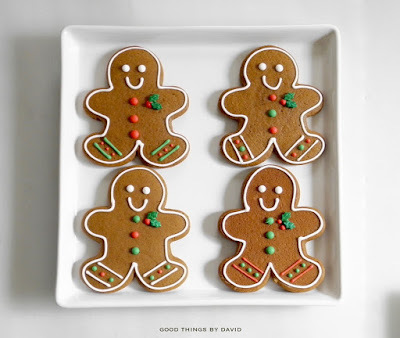 With a simple white outline, each cookie gets a set of eyes, a smile, some buttons down the middle, a bit of coloring along the legs and a dapper pin of holly leaves (these are candies attached with royal icing). The gingerbread Christmas trees have swoops of icing to suggest snow laden boughs. 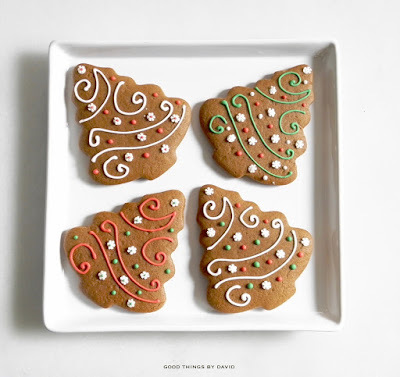 A sprinkling of snowflake candies attached with royal icing, along with some dots for ornaments, complete the look. Easy! 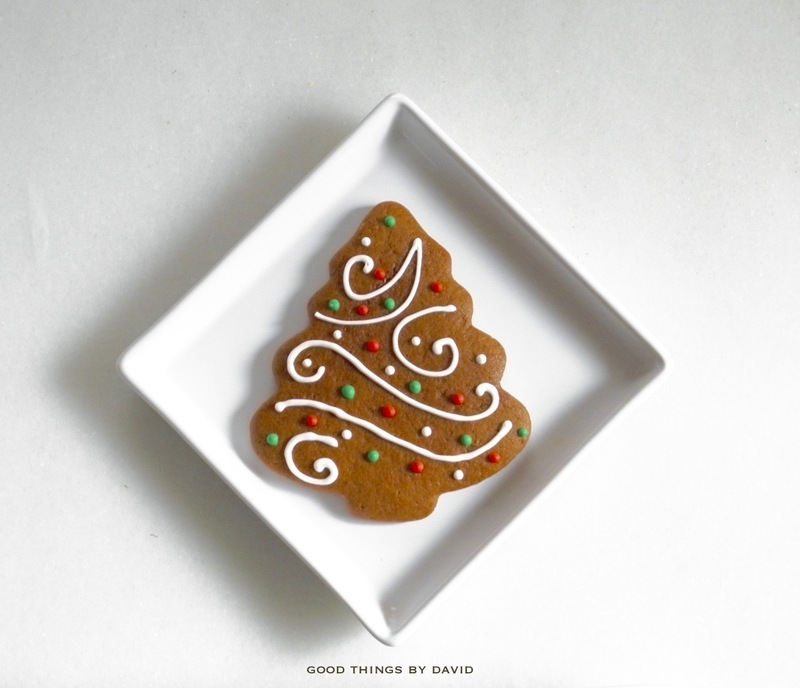 Sometimes, the simplest of cookies are the best tasting. I highly encourage all of you to shop locally at a small business today and help support your fellow friends and neighbors. 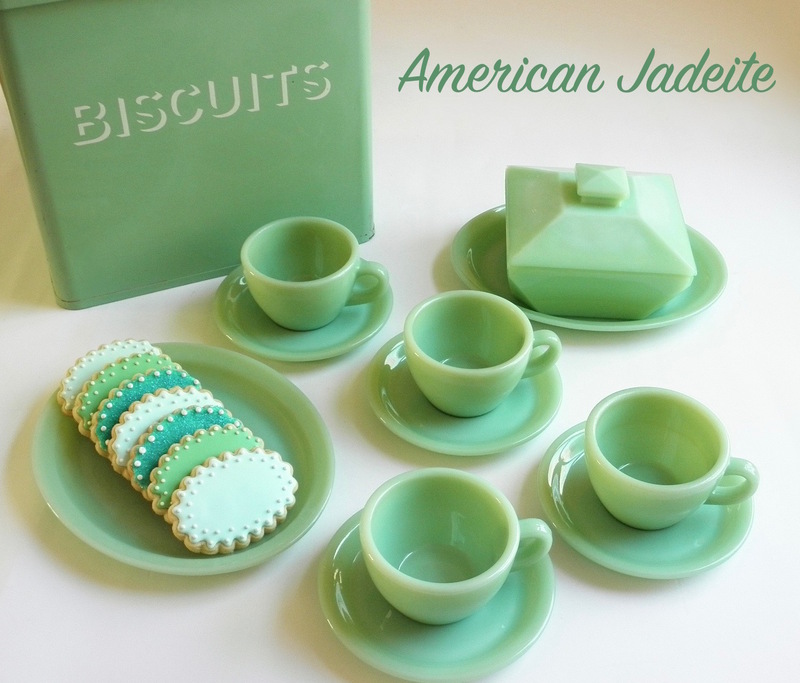 Some of the things that I love doing on this particular day is to visit some antique shops and pick up anything that catches my eye, stop at a local café to sip a latte for energy, and then grab something to nibble on from the farmers market. You should also consider the many individuals that have online shops through Etsy, their own websites and through word of mouth. Don't forget those caterers who are at the ready to help you entertain in the coming weeks. 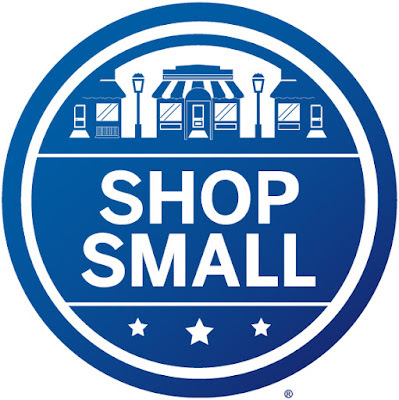 Shopping small and shopping locally is a very wise thing to do throughout the year, but it's especially prudent to do so during the holiday season. 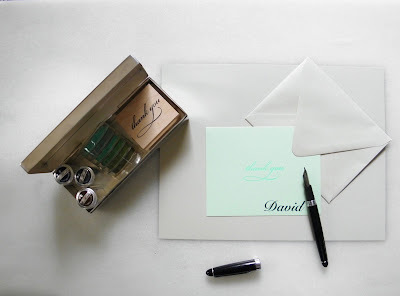 As the blog marks its fifth anniversary, I want to take a moment to thank every single reader, well-wisher, supporter and friend, who has taken the time to read a post or two over the past five years. Back in 2010 when I was encouraged to start a blog by several friends, I really didn't know what I was going to be writing about, where this blog would lead me or what doors it would help open up for me. What I can say with a certainty is that these five years have led me to some wonderful experiences. Over the course of these five amazing years, I have made many friends and acquaintances, and it is because of your kind words and encouragement that I have managed to create content which I hope is informative. I can't tell you how fulfilling and rewarding it is to me to hear from someone who has had success with a recipe that I've grown fond of, or to hear that I've helped solve a collector's mystery for an individual. 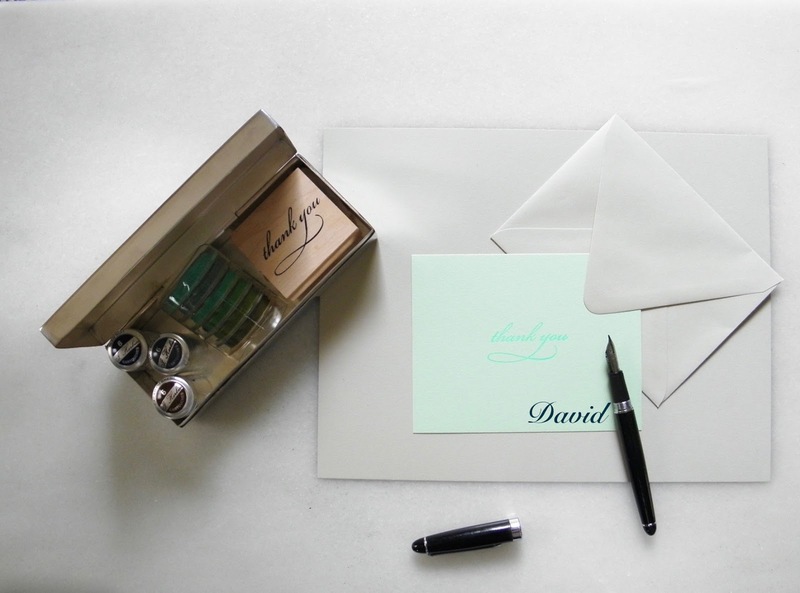 When a dear reader writes telling me that I've assisted in making their lives a little better and a bit nicer, or that I've inspired them to try something new, it makes everything that I create and write about all that much more worthwhile. 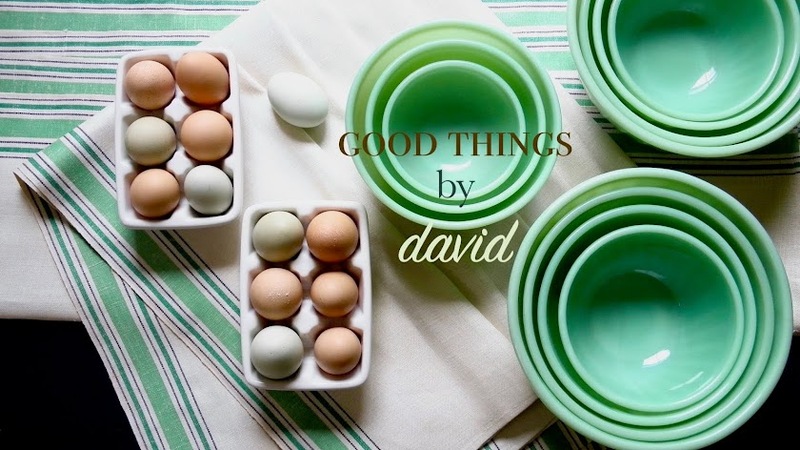 A reader of the blog recently sent me a kind note that summed up what I hope and wish Good Things by David means to some of you. I used your sugar cookie recipe for the millionth time to make cookies for a mommy and me get together. Little Sammy from the bee-themed first birthday party is a big boy now with a baby sister. Time has gone by so quickly. Thank you for all of your inspiration and great recipes. 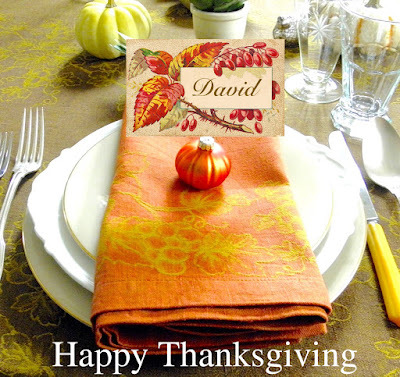 Though I've never met you, it is so nice to have you and your recipes as a part of our family traditions. From the bottom of my heart, thank you Jessica, and thank you readers for five amazing years! I wouldn't be here creating and sharing content if it weren't for your support. 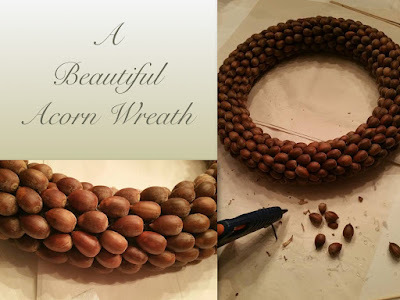 If you have an abundance of acorns covering your yard or if you happen to know of someone who has a bumper crop that they want to get rid of, make a magnificent wreath with them this season. My friend Chris, created one of the most beautiful acorn wreaths that I've ever seen, and its symmetrical beauty, along with its rustic charm, is worthy of any home large or small. 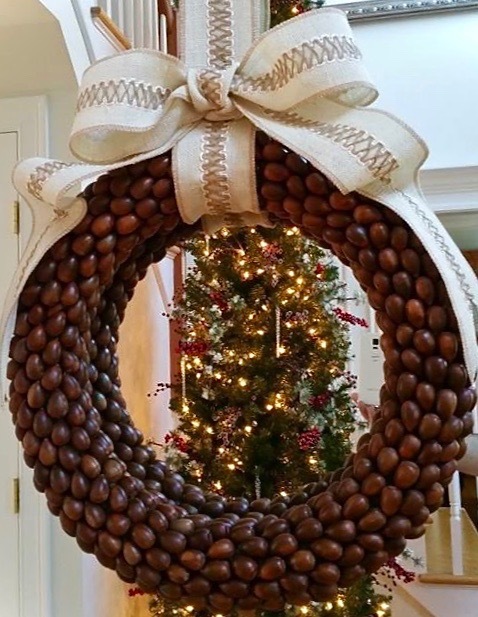 I asked Chris how he made the wreath from start to finish, because I wanted all of you to be inspired to create something wonderful to adorn your home for the holidays. The instructions from Chris are straightforward and easy, so if you want to make your wreath just like the one gracing his beautiful Connecticut home, gather the tools and materials, and begin this weekend. Pick through your acorns and discard any that are blemished. Carefully wash all of the acorns in hot soapy water to remove any detritus; pat dry. Scatter acorns on clean baking sheets and place them in a preheated 300° F (150°C) oven. 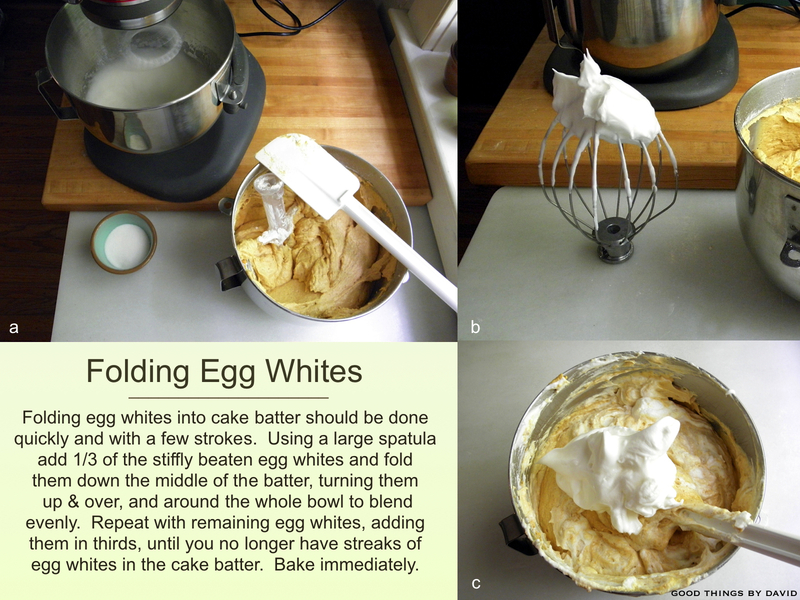 Bake for approximately 30-35 minutes. This helps dry the acorns and kill off any bugs or microbes. Paint the solid tubular wreath form in brown paint to hide the green wreath color, and let dry completely. Working on a surface covered in craft paper, begin gluing the acorns in a symmetrical pattern on one side of the wreath, filling in spaces as you go. Let the one side dry and set completely. Gently flip the wreath over and continue in the same pattern, until you have completed the wreath. Let the wreath set. Once it is complete, spray the entire wreath with a matte lacquer spray. This will act as a protective coating, but it will also even out the color of the acorns and give it a nice sheen, which Chris likes. Let this dry. 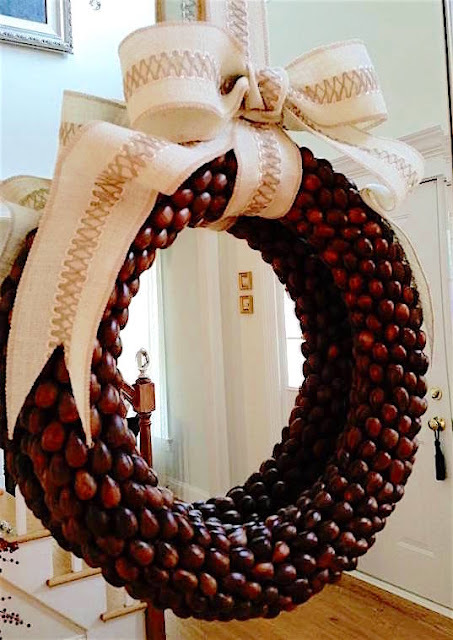 To hang: loop a length of ribbon (Chris used a rustic, burlap ribbon) around the wreath to the desired length; depending on where you will hang it, this can get attached behind a mirror with a staple gun or tied around a picture nail). Attach the end of the looped ribbon to a surface and secure it. To finish: tie a beautiful bow using the same ribbon and stitch it to the vertical ribbon. Done! Chris says that it is important to have a very symmetrical wreath that is crafted on both sides if it is to be hung in front of a large mirror. Stitching the beautiful bow onto the looped ribbon is ingenious! 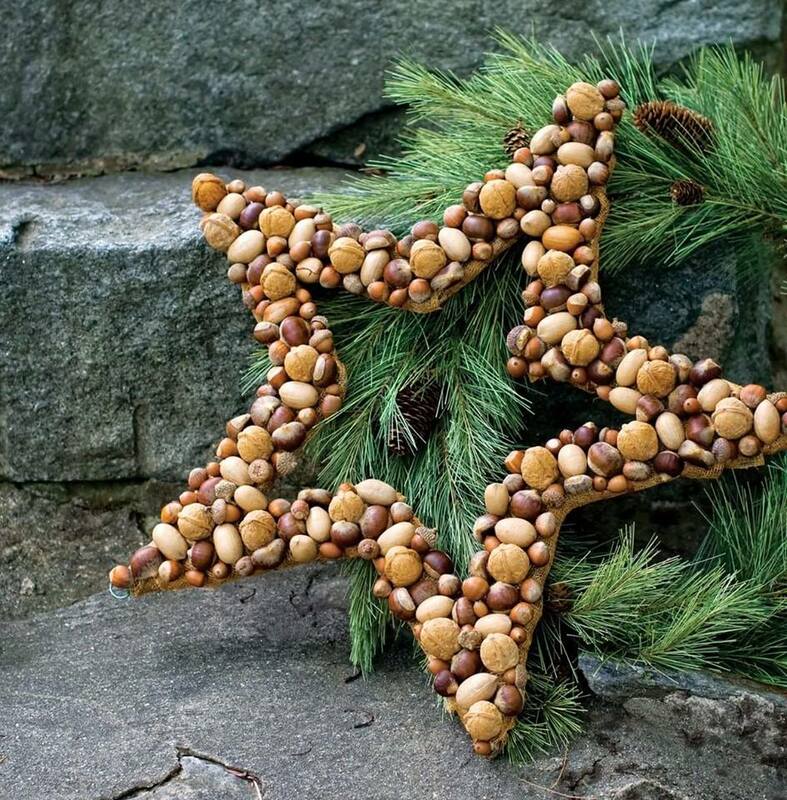 Chris likes this mixed nut wreath in the shape of a star. Using a foamboard backing, the nuts are attached in a haphazard, yet harmonious manner. With several holidays approaching in the weeks to come, it's nice to spruce up our homes with festive, decorative touches. Adding a wreath or two to one's surroundings is a great way to bring some warmth, festive cheer and color to any space. 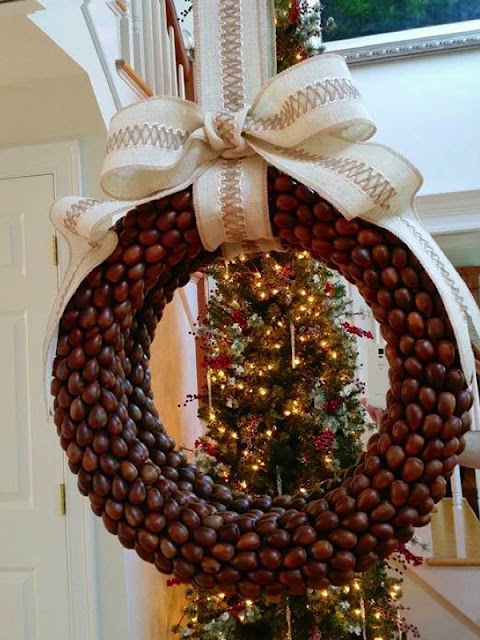 Making a nut wreath like this, which can get used for years to come, will undoubtedly be a great way to usher in any fall or winter holiday.